Kaiser’s Community Benefit Grant Program responds to grant requests from nonprofit organizations, educational institutions, and government agencies. In 2018, the program awarded more than $139,000 in grants to 11 nonprofit organizations in the Antelope Valley. Be a nonprofit organization or a local, state, or federal government agency operating for a public purpose. Provide services within the Antelope Valley, Santa Clarita Valley, or East San Fernando Valley areas. Provide services to disadvantaged and/or under-served populations. Address critical public health needs in a culturally diverse community. Have submitted evaluation reports for all historical grants. 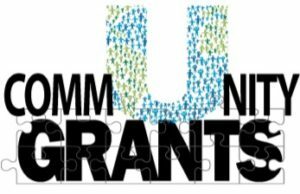 Potentials applicants can learn more about the grant process by contacting Community Benefit Manager Amy Wiese at Amy.C.Wiese@kp.org by Friday, March 8. Applications will be accepted until 2 p.m. Friday, March 15. To learn more about eligibility requirements, funding priorities and specific strategies, or to see frequently asked questions, visit: community.kp.org/antelopevalley.